Porsche brings along various cars from their past for some time at Laguna Seca. Porsche has just released this awesome video showcasing various models from the German automaker&apos;s past duking it out at Laguna Seca at the fourth Rennsport Reunion. Besides from the wide assortment of 911s, we also spotted a 917 and many other classic racers. 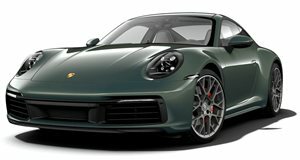 In more recent years, Porsche has been expanding their model lineup with SUVs such as the Cayenne and its upcoming smaller sibling, and the Panamera sedan. Many devout fans of the brand haven&apos;t been happy with the fact that Porsche has gone more mainstream. However, it&apos;s evidently clear that racing retains a central in the company&apos;s philosophy. It&apos;s great watching these cars race around the track and the sounds they make are absolutely wonderful. And no Cayennes or Panameras were invited.